I present to you, Pan! This wand is inspired by one the most iconic characters to ever exist, Peter Pan himself! This wand seeks a Witch or Wizard who not only has a playful personality, but also wants to change the world! Someone who loves a little mischief, but also loves helping people and making them smile; even at times when a smile is the hardest thing to achieve. 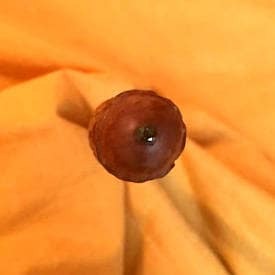 This wand will help it's partner see the positive things in life and help them pass that positive energy to everyone they meet! 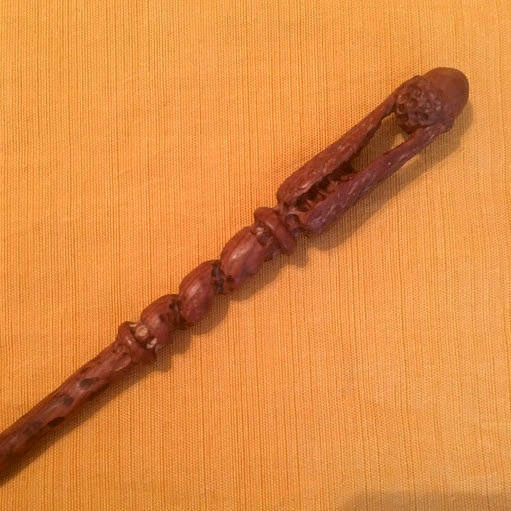 This is a one of a kind, pre-made wand. Once it sells, it is gone; and I will not create another like it ever! Heirloom Edition Wands are each a unique creation that are made with a specific theme in mind. 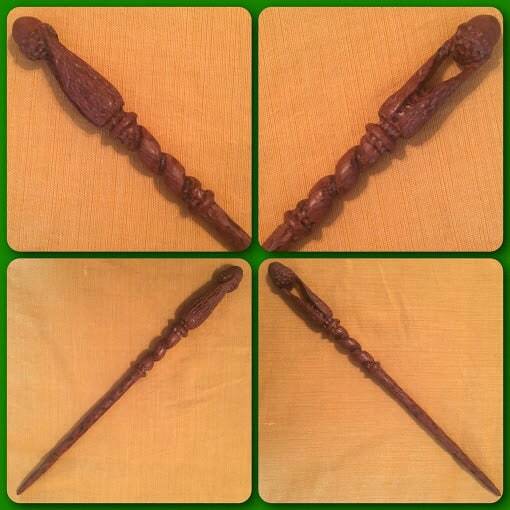 These wands, as well as the stories they posses, are intended to be passed down from generation to generation. If you would prefer your own custom wand made just for you, please see my other listings!